The gutters in your residential or commercial property need to be cleaned regularly in order to avoid any major damage. Regular maintenance makes the gutter durable, less prone to leaks and is a very cost-effective resolutions. With over 20 years of experience, Mai-Tec Drainage & Guttering has the expertise to carry out outstanding gutter cleaning at very affordable rates. You can benefit from our services in Crowborough and the surrounding areas including Sevenoaks, Tunbridge Wells, and East Grinstead. We use a high-quality, modern Gutter Vac System (up to 4 storeys high) to clean your gutters and do not need scaffolding to complete our work. We also use a traditional ladder if required. No job is too big or small for us. 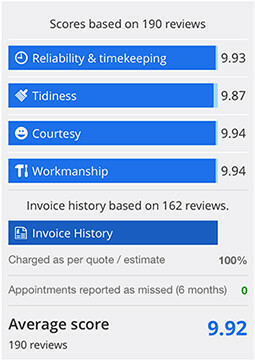 For a free no-obligation quote, contact us today. 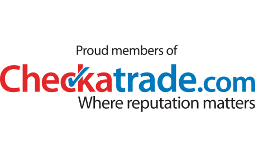 Mai-Tec are proud to be a checkatrade approved company. How do Mai-Tec clean gutters in Crowborough, Tunbridge Wells and Surrounding Areas? Mai-Tec use the latest Gutter Vac System when cleaning gutters at high levels. 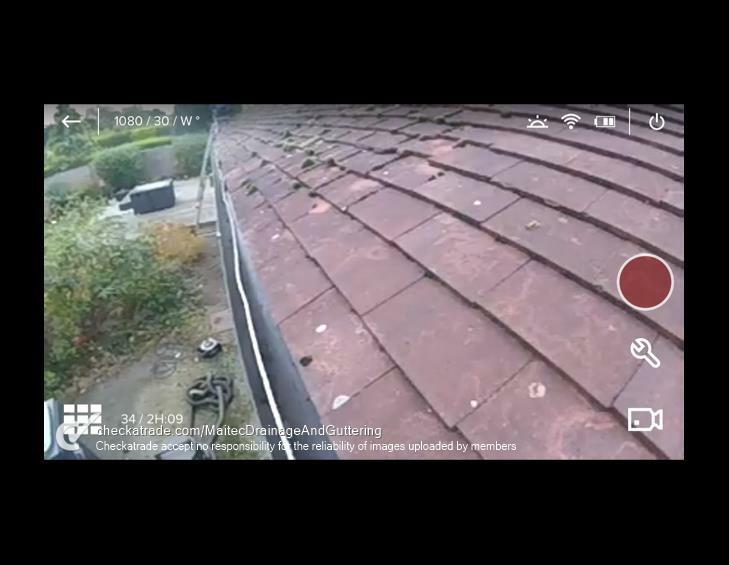 Gutter cleaning is a lot safer, quicker and cheaper using the system. 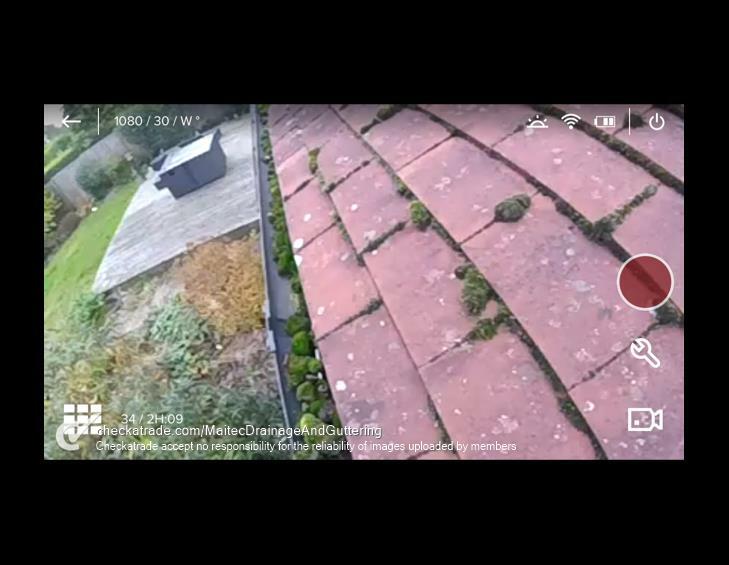 We can show you the gutters on our cameras, so you can see before and after cleaning. Water overflowing from blocked gutters damages bricks and mortar and can cause extensive damp on the outside and on the inside of your house as it is absorbed by the bricks. Mai-tec are based in Crowborough. We carry out our gutter cleaning services in Sevenoaks, Tunbridge Wells, East Grinstead, Heathfield, Lewes, Cranbrook and Maidstone and throughout the South East. Why not clean the gutters yourself? Each year there are over 3000 serious domestic accidents involving ladders. Don’t risk serious injury or even your life cleaning gutters. Call the professionals to get the job done. Who do we clean gutters for? We provide gutter cleaning services for residential and commercial properties, from a terraced house to shopping centres, offices and schools. Because we use the Gutter Vac System, we don’t need expensive scaffolding and can therefore offer competitive prices in Crowborough for small and large jobs. Prices start from as little as £60.00 inc vat. If you have any questions regarding gutter cleaning in Crowborough or Rotherfield or for a FREE no obligation quote, call 01892 613 388 or email Mai-Tec Gutters today.